Now if you connect the new display with all lines visible exatctly the same you're there. Yes, I'm just going to finalize the testing of the contrast etc. and I'm ready to put in the new, undamaged display. But get this: I managed to "fix" the damaged display! I had nothing to lose, so I removed the metal frame again, dipped a Q-tip in some isopropyl alcohol and cleaned both the PCB contact surfaces and the side of the rubber contact strips for the LCD (I didn't pull up the end that attaches to the actual LCD glass display though -it's still sticking to that surface for some reason). But.... I have to take care not to not touch anything or possibly even sneeze , because then some character pixels will be gone, so apparently the bending of the metal frame lugs for the display has to be just at the right angle and pressure. No doubt it's done by machines at the factory making them. Nevertheless it proves that my connection is correct, which is good enough for me. Another interesting observation: it seems that the backlight only consists of a single LED at the side/end, and together with a diffuser (a semi-transparent plastic sheet with some sticky glue or tape on each end) it makes the light spread evenly behind the display! The inquiry of putting a trimpot or resistor to adjust the brightnes of the backlight and the contrast (two different things) also looks very promising. I shouldn't put 5.0v directly on the led, you always need a resistor to prevent the led from getting overloaded and it also will be far too bright. I don't really understand how the LED backlight connection is set up as I was expecting separate wires/pins for this (as with the original Roland display), but as you know it lit up when connecting just the +5V and GND pins for the 14 pin connector. I assume this means the display has already been configured for +5V. Does this seem right? There was some mention of pins 15 (LED anode) and 16 (LED cathode) in the 1602xxx-2.1 datasheet, but it wasn't especially clear, so I don't know what that means. I then adjusted it to measure +4V (as suggested by Rasputin) between pin 1 (+5V) and pin 3 (V0), powered off and de-soldered the wires from the display and measured approx 2.5K Ohms between the wires that went to those pins (and approx 2.9K Ohms between the wires that went to pins 2 and 3. That would likely make it a 5.6K trimpot I guess. Strange that it made no difference though. It can't be that pins 4 and 3 have to be exchanged? Probably not as it's not likely to display things/display correctly without the pin 4 (RS/Register Select) connected to the right place. Maybe it'll work better on the new/undamaged display. Any ideas? If you have the opportunity to check if your display's "V0" pin goes to pin 4 on the D-110 CN1 connector it would be helpful. Robber1956 wrote: This sounds exactly like the problem with a CASIO FZ1 sampler, its graphical 96x64 display is also connected the way You discribed. 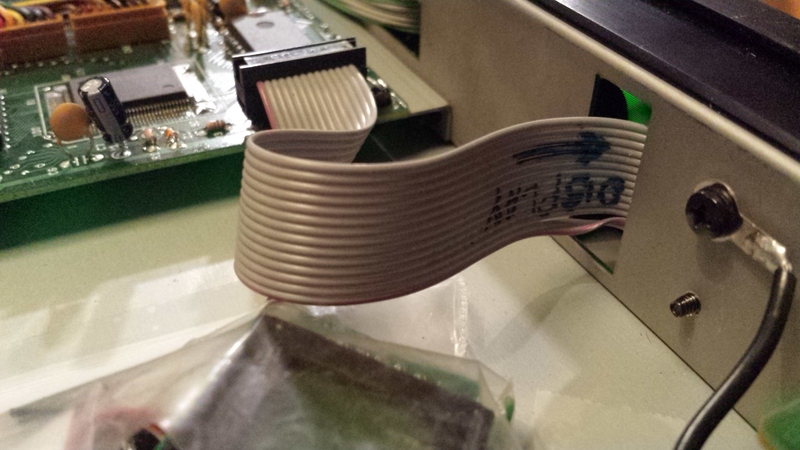 If these ribbon cables break, or in my case became brittle and just fell apart when I touched them, it's the end of the story. No replacement available only second hand stuff. 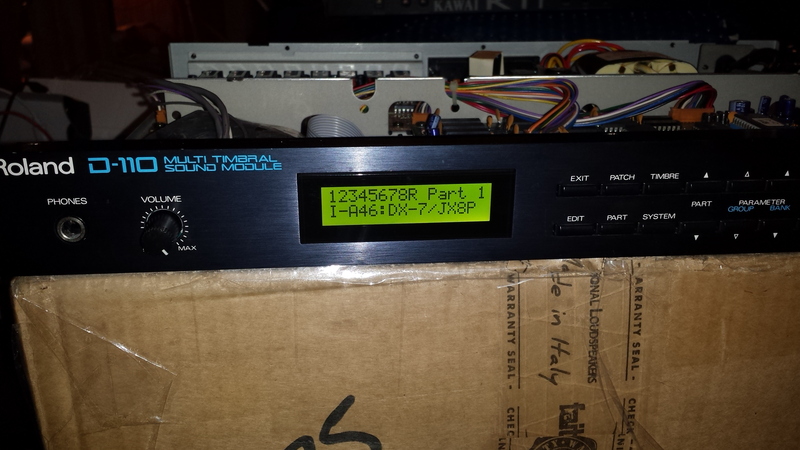 Some are sold cheap as "only for parts" with hopefully a working display. The latter is preferable than no display at all because editing can only be done with a working display. Backlight isn't really necessary to work with an old synth or sampler. Old synths like Yamaha DX100/21/27 and the TX7 module didn't have backlit displays but they can be easily build in. Such huge pieces of alternative screens are not found either. whole factory worth production machines. So the hope is if there are some people who know this technology, which is just a step away about making the conductive stripes to glass with chemicals. So far I make quite many things at home (if we say "home with several different laboratories and workshops"), so why not this technology too which to someone seems like "hobby at the hi-end level". Its fun, addictive, as it gives also some ideas where to use that technology in my own circuits and production. ...Whatever if I have the replacement screen already or not. But nothing like this I would dare to make "as a business", then it will be a burden and boredom. But I would be glad to share that with other over-average active VSE members. 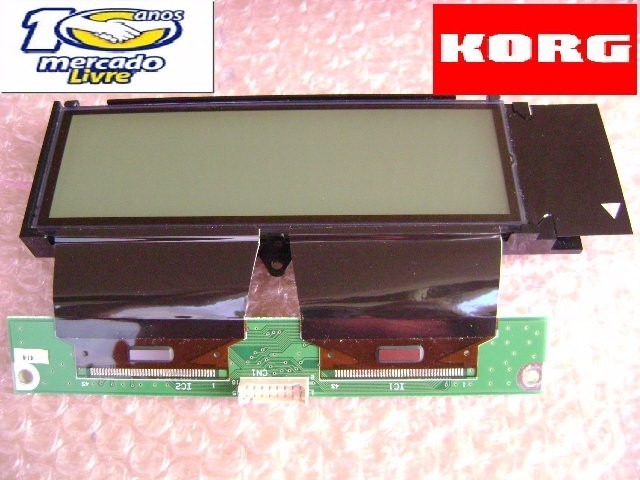 Got your LCD taken apart to pieces and put together 5 times already? And certainly I would obtain these synths, just in order to have these equipped with backlight. For fun. If in a situation I would not have already 101 other things waiting my attention. Well done again! Getting the display fixed is wonderful. jxalex only told me when asked to do it carefully but I expected something of a magic trick like with the q-tip and some isopropyl alcohol. Okay, it's obvious now but you did it and brought the broken lines back to life. I'm impressed. Next how to replace the broken led for the backlight. Like you said it's only one led, I figured that out already and that is why I was sceptic when I was told that there are more but one. Anyway, now about how to replace it. Only way is to detach the lcd from the panel so you can pull out the diffuser to get to the led. The culprit was the broken lines after this operation which seemed to be irreparable but that's solved now. Now we can see if the led is molded in the diffuser or just glued to it. In case of the latter it must be quit easy to put a new led in and why not a rgb one . 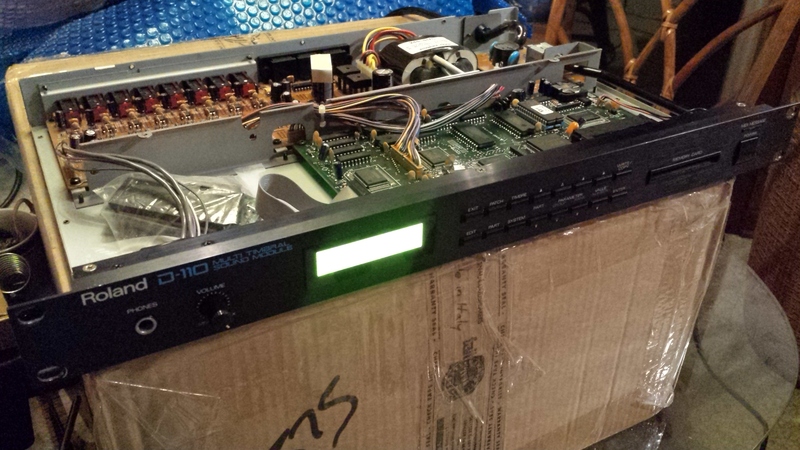 One of the benefits of all this knowledge is that it will be possible to repair or mod old lcd's so you can use them in the vintage synths without altering the frame that holds them and things like that. 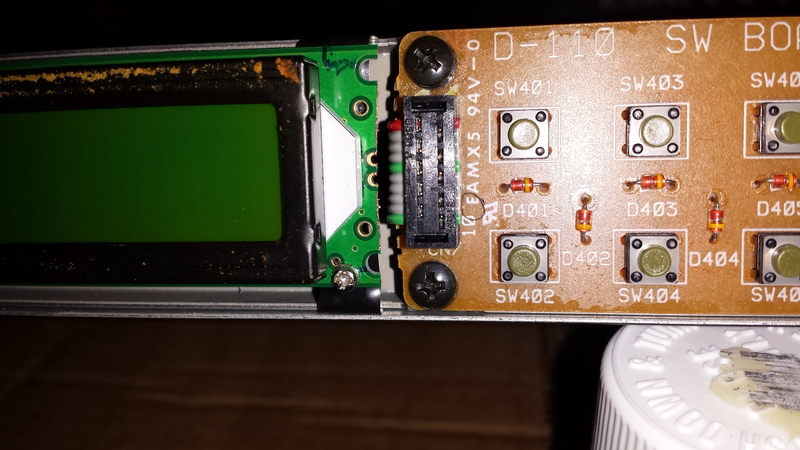 The old LCD from the D110 I use now for a vintage BOSS-SE stereo effects processor. The display was very dim and hardly readable. The D110 one still was good enough but I just wanted blue one and the original D110's display is exactly the same type and size as the old boss one (I had to replace the back up battery of the boss when it occured to me that the displays were identical. Well, Boss is Roland of course). I never throw away old stuff like lcd's, old printercables, old resistors, elco's, transistors, nuts and bolts etc. because you'll never know if there is need for them refurbishing old equipment. Only thing is I have to be selective with what I keep not to end up in the middle of a huge pile of junk . I never went into the world of Arduino but there is a lot of expertise about leds and displays nowadays. Perhaps I should spend some time on this as I'm also puzzled about how the backlight is connected to the 1602sbs-2.1 panel and if it's luminosity is adjustable. Refurbishing ols stuff is nice but if you can put something extra to it it's even nicer. jxalex wrote: The worst scenario so far I have seen is in Korg Triton Rack. Its backlight wont fade away, but its LCD is nuisance which has glued ribbon-cables. Their connections depend on temperature, they break down, loose contact from LCD. Many complain these dead stripes coming to LCD. I have old LCD still but have not found no way of restoring these dead stripes and neither there are alternative replacements than scarce and expensive originals (imagine $150 USD cost for a display). Yo Alex, don't want to totally derail this thread, but have you tried taking a large "T" shaped soldering tip and using a silicone sheet (scorch-proof, right?) to lay over the ribbon connector while taking the heated "T" and running that over the glued connector? Welcome. With large T shaped havent tried. So far I have tried with microtouch soldering iron going over every bit of those. That fixed couple lines. These remaining broken strips are still having no contact or they appear and disappear in a random way, affected with temperature inside. 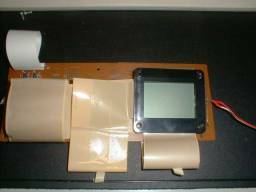 Still, looking if there are some conductive glue technology and how to test these LCD strips. Please read again my exact post when I wrote it. I did NOT said that so. I wrote that it is a led array under that plastic sheet, which coating can be removed without problems. No force required. Then you see something beautiful when powered on (just apply 5V through 50ohm resistor, just to be sure for that backlight). The rest of it is almost obvious, however I have several ideas, whereas one of them can be completely to swap out the module and using the LEDs in series on a new PCB, but still using the same plastic sheet as a cover. That would results in less heat radiation, as it will consume 10x less current. I finally got the time to properly make a new cable and attach it to the new display, and it works perfectly! When completely done mounting it I'll post a summary for new readers (so they don't have to read through all my mistakes first ). The new display I bought has a beautiful green backlight (I wanted it to look similar to the original display) and it's interesting to compare the two. Actually I first thought I had overloaded the D-110 power supply by driving two LED backlights at once but it turned out the original display was just as dim on its own!!! As you can see the original backlight is REALLY dim, so dim in fact that you almost can't see any difference when powered off as seen here! Next up is figuring out how to physically modify the new display so it'll fit in the metal bracket (preferrably without modifying the D-110) while having the actual LCD display stay in approximately the same place as before. It appears I have to shift the entire new display PCB as much to the right as possible, then find a way to "extend" the left side of the new display PCB so it can be attached to the left mounting frame somehow. Any ideas? EDIT: the above might not be entirely correct as I've started to look at how the two display types look in the front panel, measuring their placements there and when done will see how much I need to shift the new display around to get it to look good. I could of course glue the new display to the front-panel, but if I ever need to replace it again that wouldn't be such a good option. I've left the contrast issue for now, but have ordered some small trimpots to try out. Perhaps the other replacement LCD was partly damaged so contrast didn't work, or the trimpot I had was damaged (although testing it indicated that it worked OK). Strange.... We'll see what comes out of it when I get the new ones, testing with the new display. As you can see in one of my pictures I used a 'L' shaped aluminium profile 2 x 3 cm. On the left I have to drill the holes a bit further to the left or I'have to file a gap that holds top left of the panel not to deep and on the right I have to do the same with the cut out of the L-profile with te 2 screws and file away the right side as well. I'll have to make new ones of course. That will give me about 1 millimeter. I'm afraid that's all or else I have to cut away the right side of the lcd panel. Might destroy it. Thing is, the wires on the panel for the buttons are in the way. Connecting the wires on the other side may help, it gives another mm and although it's a minor adjustment it's not what we want to do. Or don't we? Because it will make it possible to centre de display exactly in the middle of the display window. Robber1956 wrote: As you can see in one of my pictures I used a 'L' shaped aluminium profile 2 x 3 cm. I will look closer into this when I get some more time. Is that a piece of metal on the right hand side of the display which is mounted by screws to the back of the two small screws (originally used to mount the original display)? so.... for me I would go with option 3 and file the sticking out bits of the button PCB. Just do it very carefully! The ribbon cable connector can't be removed, and I damaged the cable a little bit by filing into the insulation. Nothing that causes a problem, but you've been warned. Protect it with some thick tape/multiple layers of tape while filing. It would be nice if the new display PCB doesn't need to have its mounting lugs cut off (which is what I did with my new PCB -the one I messed up (yellow/green backlight), for testing that is), but the right side will cover the mounting screw-holes behind, so that metal frame has to be covered with insulating tape and be somehow mounted differently. You seem to be on to something in your photos with the mounting, so I'll be looking into that. It would be great to do this in such a way that I can always revert to the original display if I want/need to for some reason. logix wrote: Is that a piece of metal on the right hand side of the display which is mounted by screws to the back of the two small screws (originally used to mount the original display)? Yes, it's clamped to it. If I want to move the panel a bit further to the left and use that tiny space between the panel and the wires that clamp will become unstable because the two little bolts lose their grip. I need to file or find another way to queeze it together. Have to be careful though not to put the panel to much up front, not even a millimeter because the display will be sticking out to far and then the frontpanel doesn't fit anymore. Perhaps the easiest way is to tape it to the frontpanel itself and then connect. But what if the tape lets lose? Or tape it to put it in the right position and then use closed cell rubber tape on the back to push it to the front panel by the frame. Still the wires of the control panel may be a problem here. Please explain what you mean by the display being clamped to the D-110. Yes, double-sided tape could be an option for softening the mounting between the front panel and the display (there's some orange soft sticky stuff on mine which is falling apart), but I wouldn't rely on it being the only way to fasten it. The display getting loose and short-circuiting things isn't tempting. I'm just thinking out loud here, not looking at the actual D-110, but perhaps some thin metal plate with holes drilled through (matching the hole distance of the display mounting holes) so it could rest on the rear of the metal pieces that held the original display in place (the metal "lugs" with the screw holes in them for mounting the display), then having the new display rest on those "lugs" with insulating tape in between. The problem of course is the distance between the holes which doesn't match the new display, but maybe those "lugs" could be used to mount the metal plate from behind, then two new holes in the plate would be used to hold the display itself in place. Lots of words, but hopefully you get the idea. I need to look further into this with the D-110 in front of me. For the right side of the display I think Robber1956's solution shown in his second photo should work.I'm going to try to get some thin scrap metal to put behind the existing mounting lugs and drill a hole through it for securing the new LCD. Aha!!! Now I understand what you (Robber1956) meant by clamping it -the metal plate doesn't move because the screws for the new LCD keeps it firmly in place even though it isn't mounted to the D-110 frame, right? For the left side I got the idea to cut a line into the bottom screw-hole so that the whole bracket can be moved to the right (thereby locking the new display into place) but still allowing the original display to be re-installed if you need to. The top screw hole appears to be threaded and the screw mounted from the other side, so here it would be smarter to measure the distance needed to shift the bracket to the right and drill a new hole for a screw which can go through the hole and fasted with a nut on the other side. Again, no damage to the original way of mounting it in case you want to go back to the original display. So, it looks like all you had to do is plug on an IDC cable, without moving wires? 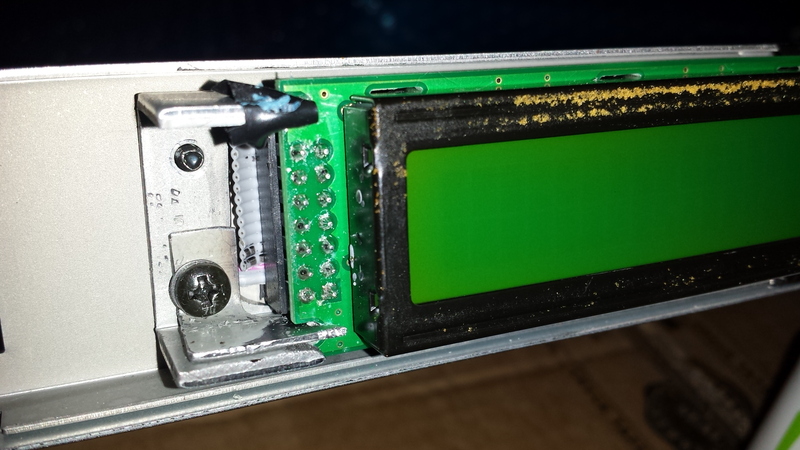 I have ordered a couple of those displays with the 2x7 pin header soldered to the display. So if I get a 2x7 cable with connector on each end, will that do it? The connection is identical to the original one EXCEPT pins 1 and 2 have to be swapped (more detailed explanations and a diagram here). Luckily that's all there's to it (no need for extra wires for the backlight as it's all taken care of with that 14-pin connector). I soldered my cable directly to the rear of the display PCB as you can see in the photos above. You might be able to use a display with a 2x7 pin header, depending on if it's soldered to the front or the rear of the display PCB and if it will (with the IDC cable attached) obstruct mounting the display to the D-110. If in doubt use a multimeter to check the connections between each pin on the display PCB and the end of the IDC connector (go to the link above for a pinout drawing) as it's hard to give complete instructions here because it depends on the orientation of the cable connectors, the pin header and the combination of those. I thought I would post my result of this display replacement. Going by the result of all the hard work others put in to determine how to make the display work, it was a breeze to do the wiring. I got a 14 pin flat cable and connectors kit, and made the cable with the pins 1 & 2 swapped as described above. I had to grind a bit from the cap and base of the cable connector on the display end (maybe less than 1/16" each face) in order to allow the display to sit far enough back to allow the D-110 face plate to go on. I also had to cut some material from the mounting bracket there for clearance (see last photo). For the mounting, I found that bumping the left side of the display board against the mounting bracket notches for the original display, it would be just about right in the horizontal axis to be centered in the window of the D-110 face plate. To get the replacement display to sit at that position, I made a little bracket with a slot in it (cut with a metal saw) that mounts with the factory bracket screw. As mentioned above, I had to grind some off the right side of the base of the factory mounting bracket to make room for the plug-on ribbon cable connector on the display. For the right side I had to trim off a bit of the end of the display board to get it to fit by the other ribbon cable there. Then I cut a slot (wide enough for the factory display mounting screw to fit) into the bottom of the display board in line with the factory mounting hole, in which I could insert the factory screw to hold the right end. Given the location of some exposed points on the back of the new display board, I also put some electrical tape over the mounting points to prevent any shorting that might arise. Lastly, the left side was still a bit high, and moving up and down slightly, so I used a few pieces of electrical tape under the top bracket ear such that the extra space in the lower area of the upper cutout in the display board was filled, thus preventing the display from moving up. Then I used a flat screwdriver in the space between the top of the mounting bracket and the chassis and pushed down on it a bit to slightly bend the bracket down. It turned out very well, but the display is a bit too bright in my opinion, so I may try adding a resistor to the power connection, if that's the right place to do it. Thanks for the great efforts here. Nice shot of the finished assembly. Left side with tape below upper bracket ear to fill the extra space in the notch on the board, and the additional bracket to reach and hold the display board, and some material on right side of the base of the bracket has been removed for clearance for the cable connector. My D-110 display is dim but has decent contrast... I measured the voltage out of R5 and got 3.8v, R5 tests at 9.5 ohms, looks like it should be 8.2, I jumped it with a diode and got a bit under 4.5V, much better. Question, can the LED display handle the full 5V without breaking down?